Rueben over at BBQ Guam gave me this idea. 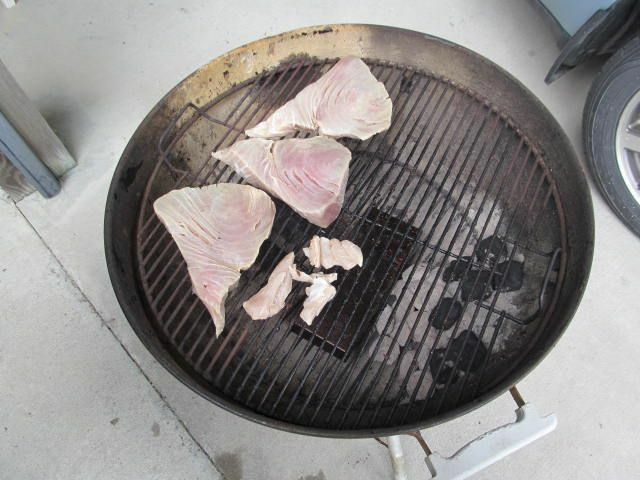 So I decided to smoke some yellowfin tuna at the beach. 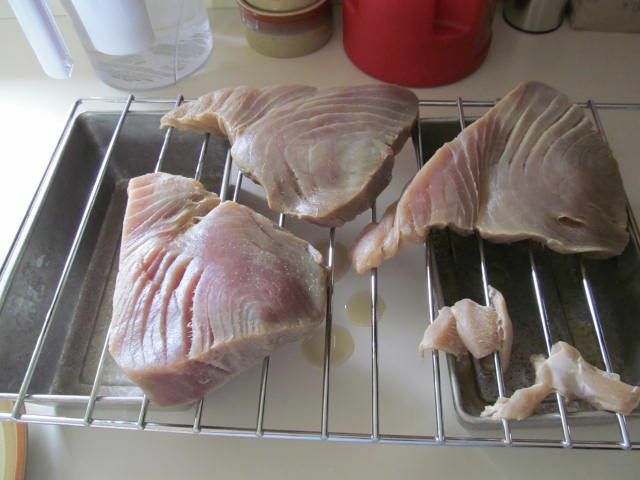 Drying allows the fish to form a nice crust on the outside that adds flavor and is more receptive to smoke. Mix throughly. Serve with favorite cracker or tortilla chips. Saw this the other day and just wanted to let you know that I like your twist. Your brine recipe is a must try for me Bill. Tuna and the dip looks and sounds great!! Definitely got to try this out!! Thanks Rueben. The dip is a winner for sure. The basic cream cheese, mayo, sour cream is a nice base for a ton of dips by the way. 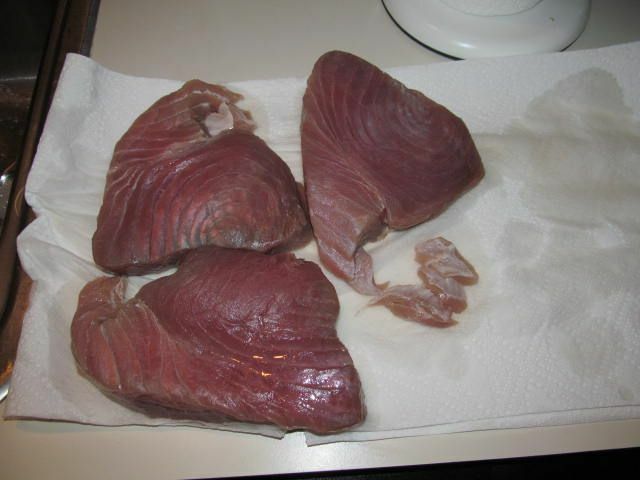 I have smoked a lot of salmon and steelhead, but now live in Cabo and have a lot of Yellowfin to smoke. 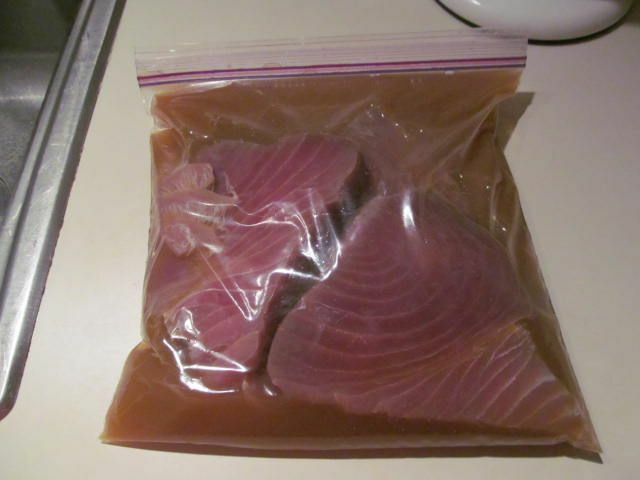 I have always used long brine times, up to several days. What is your recommendation for Yellowfin? I have found that overnight brining suit me just fine before putting on the smoker. 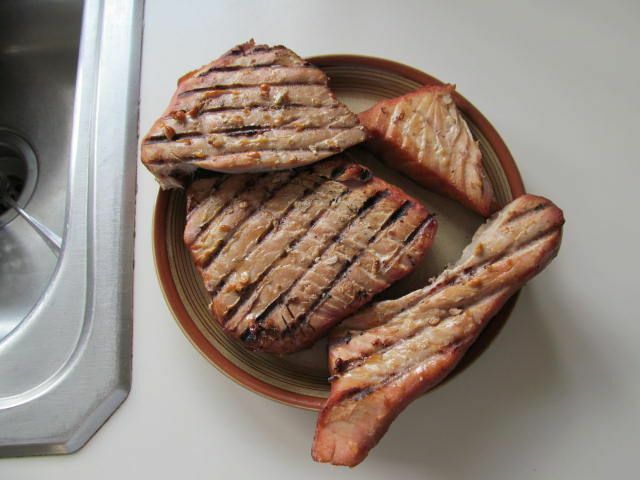 There are a few tuna jerky recipes out there that I want to try. You might want to give those a try as well.